Everybody dreams of a superior life filled with comforts, health, success and prosperity. Complete wellbeing is enjoyed only when you are blessed with the divine support. You can gain this Divine Support through the grace of Lord Rama who bestows & brightens your lives from severe downfalls towards a superior quality of life for a supreme living. This great opportunity is opened for you on the day of Rama Navami which falls on April 12th this year. Rama Navami signifies the birthday of Lord Rama, who is a compassionate winner with absolute self-righteousness. You can easily access the incomparable and everlasting energy of Lord Rama on this auspicious day. Lord Rama is the 7th incarnation of Lord Vishnu born into the world, who is highly powerful with self-righteousness. It is a perfect epitome of virtue and an incomparable and indisputable warrior for the mankind. 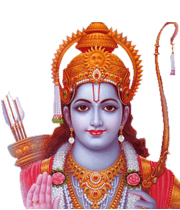 Lord Rama has many superior qualities that remains very difficult to be followed for any person on earth. He possessed many supreme qualities like: Truthfulness, Obedience & Respect, Love & Care, Protective, Faithful & Virtuous, Egoless, Healthy & Strong, Humble, and Contented & Full of Gratitude. •	Rahu in Sagittarius got the power to be known as ‘Konthanda Raghu’ which refers as a part of a bow and arrow. •	Navami Tithi or 9th Moon Phase was considered to be auspicious only after the birth of Lord Rama. •	Barathan, brother of Rama, was elevated to King. •	Vibhishnan, brother of Ravana, was elevated to rule Lanka after Ravana’s demise. •	Guha, a hunter, was elevated to Rama’s brotherhood (hunters were considered lower class in those days). •	Sukhriva, character from the epic ‘Ramayan’, was elevated to King. •	The Monkey & Squirrel race was elevated to divinity. •	Elevate to the higher level of spirituality, career and social status. •	Be protected from all kinds of physical danger and unseen forces. •	Improve your relationships with family, co-workers, intimate partners and everyone now and for all of this lifetime. You can easily gain an incredible amount of optimism, courage, and victory by chanting the powerful mantra “SRI RAMA JAYAM” and to attain the spiritual, physical and material comforts for a complete well being in life. It is said wherever the holy name of Sri Rama is chanted Lord Hanuman is there to sort out your problems.